MotionMixes/Broadcast Motion provides music that writes itself in real time. Click a button to change the sound while staying true to your theme. 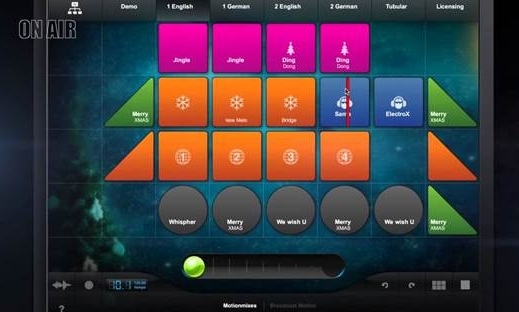 Motion Mixes is customized for your station; Broadcast Motion is the library version. Developed by Foster Kent in Salzburg, Harris Media is the North American vendor of this amazing and versatile solution.